Today is my stop on the True Colors Blog Hop! I made a Baby Size quilt top from my Disco quilt pattern. It was fun to mix the True Colors with Botanique. Now I just need to decide on what fabrics I want to use for the backing and the binding! Joel's saturated colors worked great with my Disco quilt pattern. Disco loves to play with high & low contrasting colors, so the True Colors fabrics + Joel's fabrics played so well together on this quilt top. I might even add more fabrics to make this a lap size so I can snuggle with it on the couch. Make sure to visit each stop on the tour for inspiration & giveaways. Now for the Giveaway! I have fun pre-cuts and thread to giveaway to a few lucky winners. 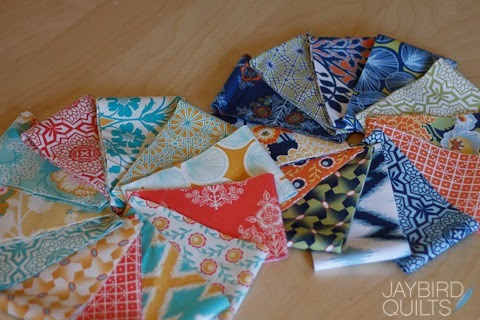 I would use the True Colors fabric to make a Tiny Dancer quilt. You have till 9PM PST on Wednesday the 5th to enter. I would make a tumbler quilt with the fabrics. These fabrics would make some gorgeous pillowcases!! Your disco quilt is awesome! I would probably make a baby quilt but not really sure what pattern yet! Thanks for the chance to win. These would definitely need to be used in a quilt, like a churn dash. This fabric would make some great summer pillow covers. Summer is coming someday I hope! Thanks for the chance. Beautiful fabric and beautiful quilt! I would make a baby quilt with it as I already have three to make this year. I would like to make a Snack Time quilt for my niece. I have my Hex and More Ruler and my Snack Time pattern ready to go. I've been looking for just the right fabrics and I think I've found it in True Colors. With this fabric?? I love it, so I would probably make a big triangles throw, then a smaller wall project with the scraps, then a mini something with THOSE scraps. Love the disco project here! I love anything by Joel Dewberry! I'd make a quilt for me!!! I love the pattern on your quilt top and one day I will be a good enough patchworker to attemp one similar. However this patchwork hobby is a new one for me so I would try a simpler quilt such as the "turning twenty" quilt. Thank you for the opportunity to win some pretty fantastic fabric. L.O.V.E the disco quilt! That's where I would start with the fabric! I'd make another Candy Dish pillow, my favorite pattern! I will use the true colors fabric to make the giggles quilt, lap size. I would work many of these into my Gypsy Wife stash that I am doing as a quilt along. I think I'd make the Disco quilt. Thanks for the chance! I would love to make a "Modern" quilt of some type. I would make a lap quilt to give as a Christmas gift. Gorgeous fabrics, thanks for the chance to win! I would make a hexagon variations quilt. What fun - they are beautiful! Thank you. Love your quilt! I would make a lap quilt for myself using these with the Single Girl pattern. I'd like to make some pillows or pillowcases. What couldn't you make! With the contrast colors a snack time would be nice! I think this bundle would be beautiful in Night Sky! Im not sure what I would make to be honest! Lol I am rather fixated on totes and purses at the moment, but a tumbler quilt might be awesome too. Thanks for the chance to win! Honestly, I'd probably make a small quilt or some placemats with some mug rugs!! I'd use these to make a single girl quilt. It's been on my to-do list for ages, and I think these colours would make a really interesting SG. I would probably make a table runner or a baby quilt. Thanks so much for sharing these! Beautiful quilt! I would make a disco quilt. It would definitely use these fabrics to make a quilt! 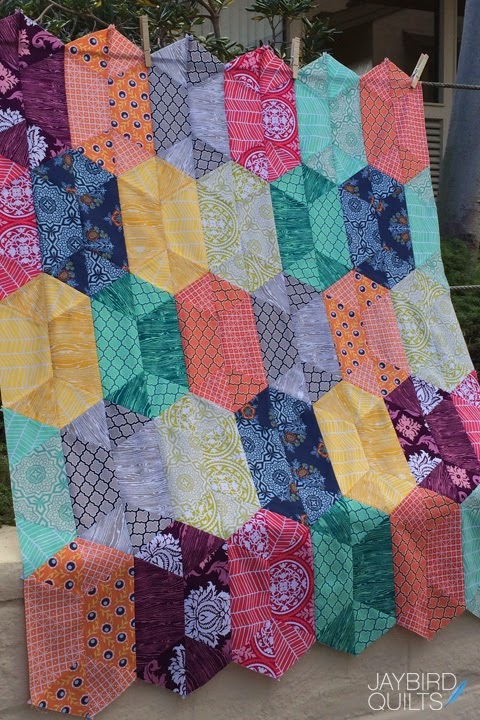 I might mimic your disco quilt because it turned out gorgeous!! These fabrics would be great to go toward making a quilt for my daughter. She's a tough one to make a quilt for. Still trying to figure it out. I would like to try the snack time quilt! I would make new pillow covers. love your disco quilt! I would like to try the disco quilt with this fabric. I would love to make a quilt with these making a meandering line of flying geese on an expanse of neutral background fabric! Those colors are stunning! At the moment I'm not sure exactly sure what I would make but some quilt with matching pillows. I would make a comfort quilt to cuddle with while undergoing treatment for breast cancer. Gorgeous fabrics and quilt. I'd like to make a quilt like the one you shared. Love it! 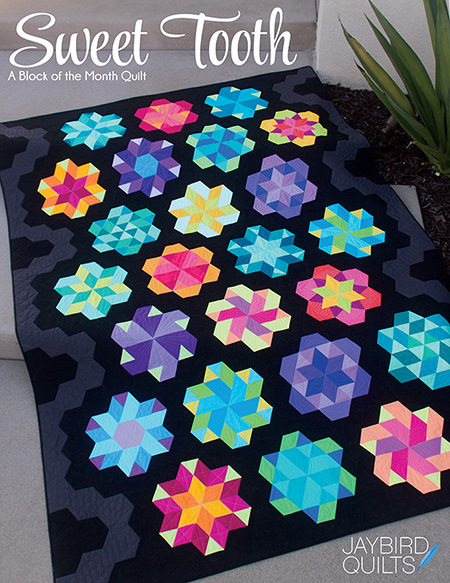 I would have to say either your Disco quilt or a cute hexagon quilt! Thank you so much for the chance to win! I am doing Michele Fosters Delightful Stars Quilt A-long and I think these fabrics would be beautiful for those stars!! I would save these as blenders to use with other fabrics, rather than making a quilt with the full line. I have a lot of JD in my stash which they would compliment beautifully. I would use the True Colors in a disappearing 9 patch. I would like to make a disco quilt! Love these colors! I'm not sure what to make - there are so many options. I would make a gorgeous baby quilt for my little one on the way! Thanks for the chance! I would use it to make a lap quilt, using the disappearing nine patch block. Luvin the fabric-the colors & LUVIN the Disco quilt, I want to make one for my "Survivor" sister Debi! Oh my gosh, I love that quilt and the fabrics both! 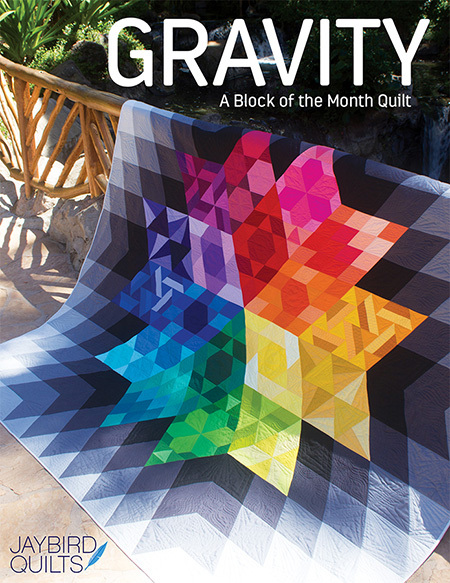 I'd love to make one of your quilts with the fabric if I won. Like the Tiny Dancer or the Disco. Thanks! A quilt of course! No clue what pattern though. Pretty!! Would love to try the Disco quilt. Olá, gostaria de fazer almofadas com esses padrões tão lindos, e com as tiras que sobrarem pegadores de panela em crazy quilt ou mug rugs. Pois não posso desperdiçar nenhum pedaço destes tecidos vibrantes. Snack time or Daybreak would look good in this fabric. I'm dying to make your Night Sky! Oh, I would use the True Colors fabrics to do A Disco quilt! I haven't seen it before and LOVE it! I think your quilt is wonderful. I would like to make a quarter circle quilt like a drunkard's path if I win. I'm so drawn to the Botanique collection ~ I'd make a lap quilt for my daughter who lives out on the farm ~ something for her to cozy up to! It would have to be a cot size disco quilt, as a friend has just told me she's expecting her second baby! The colours in these fabrics are gorgeous. 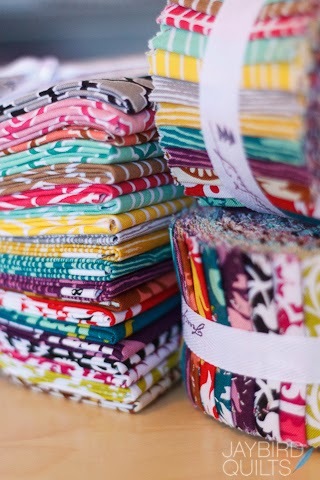 I am new to quilting but would love to have a go at the chopsticks quilt if I was given these fab fabrics. I would use these fabrics to make quilted stuffed owls for my friend's nursery! They are the PERFECT colors! I would live to win the fabric to make the same quilt - I love how the disco quilt came out in those colors!!! I would have to make at least a lap size!! I think I will make a hunters star quilt. Thanks for the giveaway! I'd want to make a quilt for our bed as these fabrics aren't girly, but I'm not sure what pattern. Perhaps a swoon? I would make a small quilt for my daughter. I would like to try your mini Northern Lights. I wonder how it would look in a print? I would like to see these fabrics used to make Chopsticks. The larger-scale prints could show off nicely in the big triangle pieces. I think I'd make a Giggles quilt if I win! I would make a Patchwork quilt, really I would. I am reading a new quilt book Quilting with a moderns slant and it has freed me to think as I want in quilting. I'm not sure what pattern I would make, but I like Botanique by Joel Dewberry. 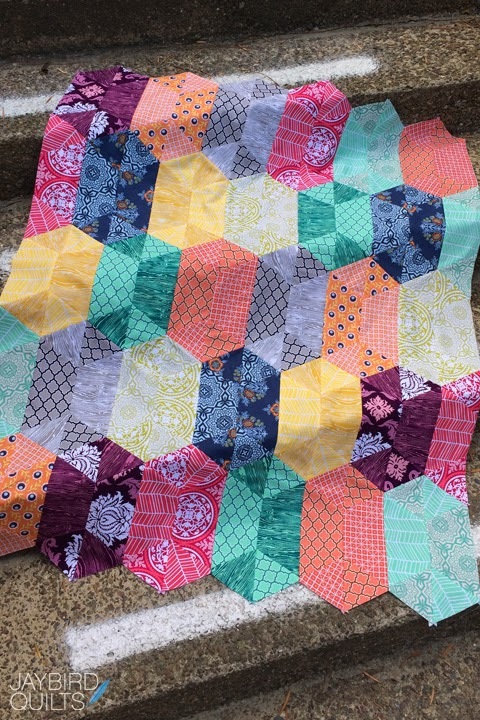 I love the True Colors and would love to use your Disco pattern to make a baby quilt! I would use the True Colors fabric to make a sewing machine cover. I would make a quilt for my 7 year old granddaughter - she would love the bright colours. I would make some pillow covers for my couches with this fabric. I am a scrappy quilter so would intermix these fabrics with what I have... these would give the punch needed in a quilt. I would love to start another throw for my couch. 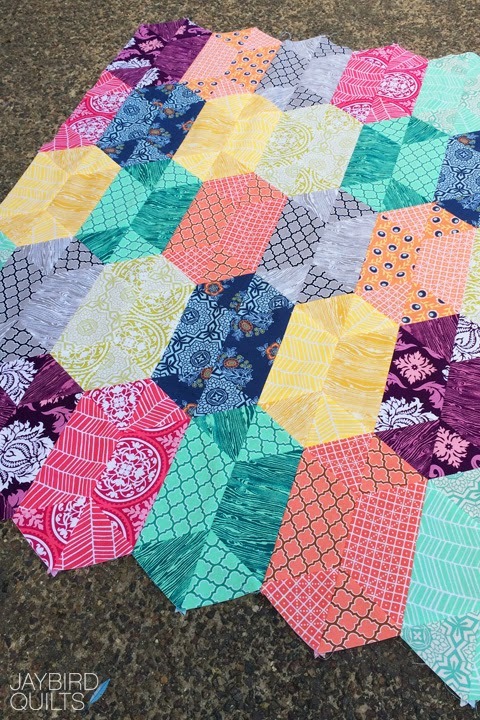 I would love to use True Colors for the Park Bench quilt! I would love to make a vintage revival quilt with these. I think the vibrant colors would really make it pop! These would be beautiful in a Swoon. Or something else eith stars, but probably I would make a swoon. I would make a starburst quilt! I would make some mini quilts. I would use the True Colors fabric to make the Heirloom Quilt. I would make a quilt for me, not sure what pattern, have so many. I would use the True Colors fabric to make a quilt for my wonderful mother-in-law who recently lost her husand of 60 years. These colors would make a lovely comfort quilt. One of the Simply Retro patterns and I will use some of my Botanics FQs to make it big enough to snuggle and keep my toes warm. Wow, Julie, you have been super busy lately! Not sure exactly what I would make with it. I like to look at fabric for a little. Then decide. I would use the True Colors fabric to make a Night Sky Quilt. I think it would look so pretty with the lighter colors. I would make a lap/throwquilt with the fabrics if I win. I would like to make a science fair quilt. I have the pattern and template ready to go. Hi, I would use the fabrics to make a quilt for my parents, a rainbow quilt or something similar, thanks for the chance to win! I would make a picnic quilt with those fabulous sunny colors! Ooh your quilt turned out so lovely! I'd use these gorgeous fabrics to make some new spring-y patchwork pillows :-) Thanks for the generous giveaway! I've only used my Hex n More ruler for the Toes in the Sand quilt, so I think I might just copy your sample! A runner for the guest bed. Rich colors! I would use that fabric bundle to make a Chevron quilt. I would make the cutest apron with these fabrics! I would make the disco quilt. I have loved it since it first came out! I would use the True Colors fabric to make a pinwheel tablerunner. Thanks. I would make a log cabin quilt if I were to win. I'd make a a triangle quilt. I would make a log cabin lap quilt with the fabric. The colors look perfect for such an arrangement. 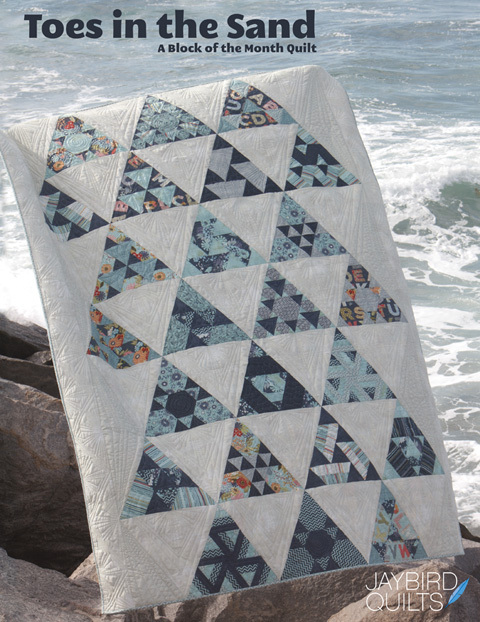 I would love to make a zigzag quilt. Thanks for the chance to win! 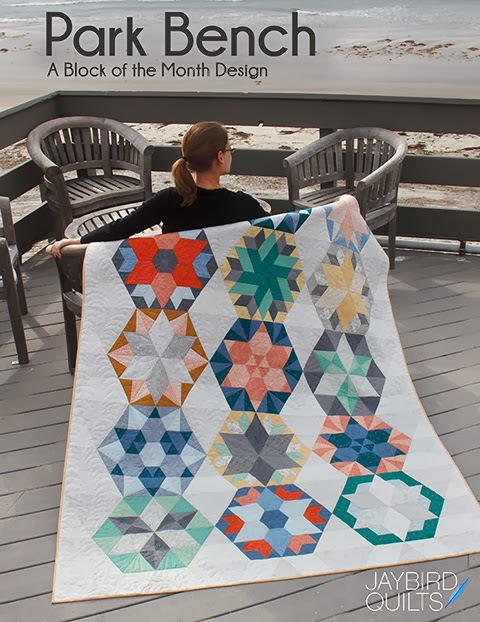 I'd use the fabric with the new mini Hex ruler to make a mini quilt! I would love to make the Night Sky or the Day Break quilt with these great fabrics. I love these fabrics! I would make a QAYG bag with a jelly roll. I would use it for the Mini Disco pattern that i order saturday. If I win I would make a quilt block totebag. I haven't decided on what kind of block to make, but it will be on a tote bag! I would make a Mimi LeMoyne star quilt. I really want to try the night sky pattern, so I would do that with the fabric. Nice, would make a star rug. I think I would make a quilt using your Chopstick pattern. Thanks for the giveaway. Love your quilt, great combination of fabrics. I think I'm going to have to get a hex n more! I would use some of these fabrics to make cathedral window cushions and others in various quilting projects, maybe a hexagon quilt! Such pretty fabrics, and they look great in your Disco quilt. I am dying to make some pretty star blocks out of the Park Bench pattern book I bought at Road, and they would look great in this fabric line. I really like your Disco quilt. I think I would make my own version of that. I am really loving this True Colors blog tour! Thanks for the giveaway! I would use the fabric to make myself a new bag. 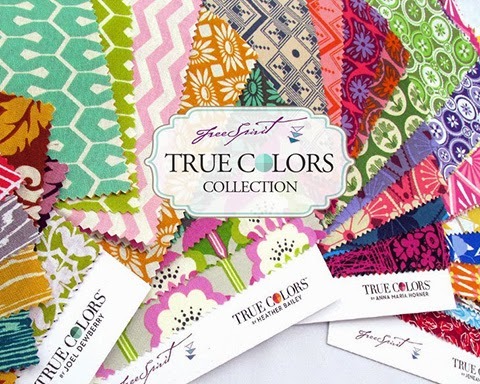 I would use the True Colors fabric to make a plus quilt. These fabrics would be wonderful in you Disco pattern!!! I would either make a bucket tote (or two), or a simple patchwork quilt. I would use the True Colors fabric to make a new bed quilt>maybe of your Chopstick pattern. Thanks for sharing! I would make a Disco quilt. I loved making Science Fair. I would use the True Colors fabric to make a mini-quilt for my office. Thanks for the chance to win. I've made one quilt with your Sparkler (?) pattern and would love to make another with this fabric. I've been wanting to make a quilt with squares on the diagonal, so I think these would be very neat for that! Pretty fabric! I would love to make a scrappy trips quilt. Thanks for the chance to win. I will use True Colors to make a vintage modern Irish Chain quilt. I would incorporate a few coordinating solids and make a very generous sized lap throw and selfishly keep it all for myself (I never seem to keep anything I make). I'm in the mood for some Springy pillows to update my couch. I'd love to make a chevron quilt for my grandson. I'm just now venturing into more modern quilts, just can't seem to take my eyes off of them. I would make a quilt with these gorgeous fabrics! I love the quilt you made with these fabrics and thank you for the chance to win. I would definitely make a quilt with these prints, not sure of the pattern I would use! I would use them to make my very own Disco quilt....I love it! I'd make a quilt. Maybe use some of these in my economy blocks! Thanks for the chance! I need to make throw size quilts for hubby and myself and the True Colors line would work wonderfully! I'm in the hexie mode and your Disco pattern will fill the need. Thanks for the chance to win! OHH! Pretty, pretty fabric! I'd love to make one of your quilts with this - probably the one you higlighted. Thankd for sharing. 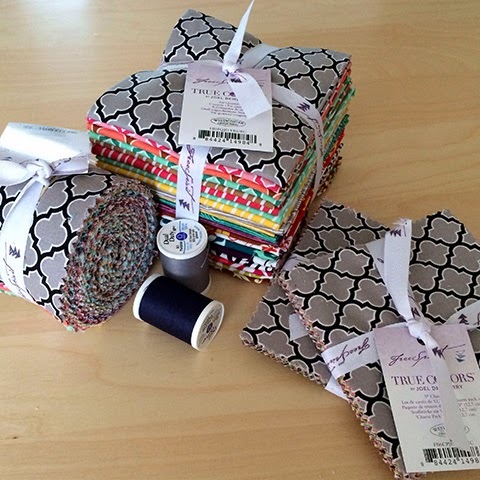 Your gorgeous Disco quilt + this lovely bundle = what I would make! I would make a Science Fair quilt for my daughter. Sweet! Thanks for the chance to win! I'd make a quilt with the fabric. I want to make a Steam Punk quilt so the fabrics would be put to good use in that. I would use it to make 2 baby quilts for twin girls. I love color! And a quilter can never have enough color! I think I would try your Disco quilt. I would love to make some bright pillows! 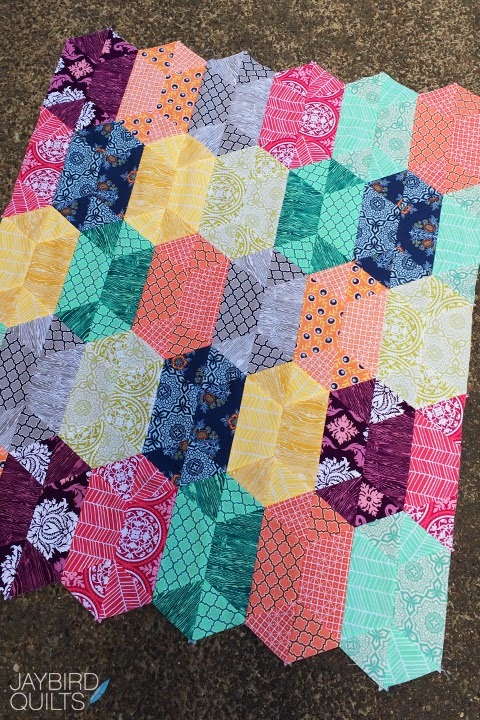 I would love to try my first hexagon quilt with this beautiful fabric!! Would love to win! I would love to make one of your mini quilts. My friend Janet Platt brought me your rulers and one of your patterns at the Road toCalifornia show! I don't know which one I have but this fabric would be great to make whichever one it is. I can't wait to see it! I would make a 60 degrees tringle quilt. Love your quilt! fabulous! I would use the True Colors fabric to make a mini northern lights quilt!!! 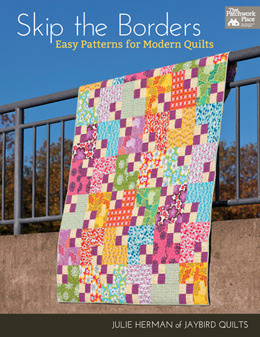 Love the fabrics - I'd like to make an improv quilt - just got a copy of the new book "Quilt Improv" & would like try it out. Thanks. Beautiful quilt Julie. It definitely works really well with your pattern. Very pretty. I have a couple of ideas of projects to make with these gorgeous fabrics. One of them would be Windmills at Night quilt pattern by Suzys Sitcom. 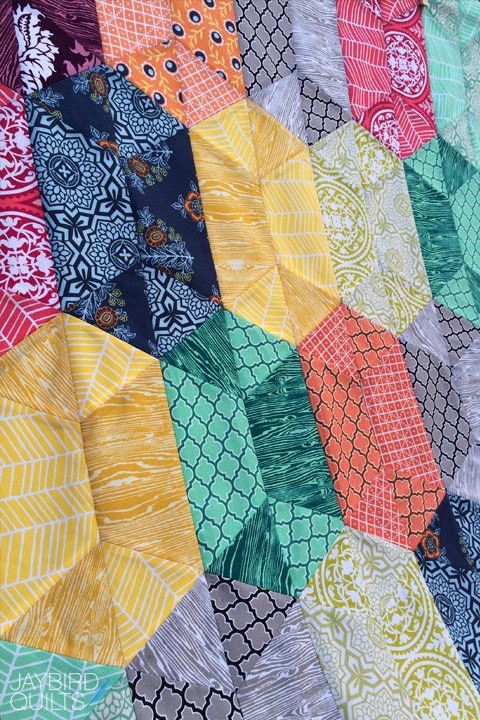 Connie at Free Motion by the River just posted a really neat quilt pattern on her blog today that would look great using these fabrics too. I would use the fabric to make a quilt for my almost-3-year-old daughter. I love that fabric! 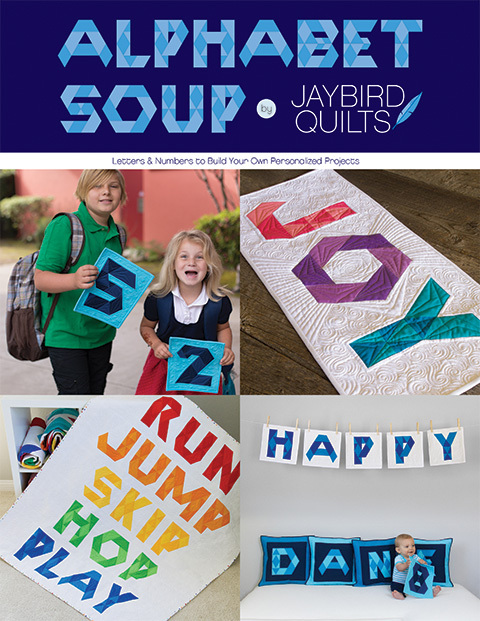 I would make another Rock Candy or dig through my Jaybird Quilts patterns and pick another one to make! I would make a quilt for a new baby on it's way in our family! I would use the True Colors fabric to make a Moroccan Tiles quilt with a dark background fabric! I would make a Dresden Plate pillow set for myself. My living room needs some cheering up and this would be perfect. I'd like to make my 3rd Science Fair quilt and keep this one for myself! I'd love to make Park Bench! Thanks for the chance to win! Expecting a niece in May, and all new nieces need quilts! I have absolutely fallen in love with your hexagon ruler and can't wait to get my hands on the mini version that just came out. I have been looking for fabrics to make a couple of throw pillows for my girlfriends' fast approaching birthday and will use the Candy Dish pattern. Jane at Shouse555@comcast.net. Love the giveaway fabrics!!!!!!! Thanks for the chance to win! I have a scrappy purse/project bag that I am anxious to make and these colors would work well with what I have been saving!! Your Disco Quilt is perfect for these colors. I will probably make a guilt for my Great Grandson, something with dragons. Hope I can find a pattern. Any Ideas? Thanks for the hop and giveaway. I would use the True Colors fabric to make some hexagons which I'd make a pillow out of.